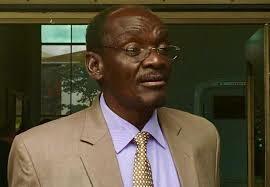 VP Mohadi’s lawyer, Mr Norman Mugiya of Mugiya and Macharaga Law Chambers, said the information was “completely untrue”. “It has come to our client’s attention that in an online publication by one Mandla Ndlovu on the social media site, entitled ‘Mliswa to expose Kembo Mohadi’ you supplied and caused to be published information which is completely untrue and defamatory of the good name and integrity of our client,” said Mr Mugiya. The publication attributed to Mr Mliswa threatened to expose what he alleged to be corruption scandals by VP Mohadi. It also insinuated that VP Mohadi was unfit for office and “called upon President of the Republic to dismiss our client from that position”. In the same article it was also alleged that VP Mohadi was linked to a stream of cases involving illegal takeover of farms, torture and murder. “The above utterances directly or indirectly attributed to you are either defamatory per se or intended to mean that our client is a dishonourable person,” wrote Mr Mugiya to Mr Mliswa. He said the utterances were understood by an ordinary reader to mean VP Mohadi is corrupt and undeserving to be Vice President of the Republic of Zimbabwe. The remarks were published on internet which has worldwide readership. “They besmirch the good name and reputation of our client. They are therefore defamatory. Our client demands the immediate retraction of the utterances in publications of an equal readership and prominence forthwith and in all cases within 24 hours of the delivery of this letter upon you,” said Mr Mugiya.